Why did it freak me out?? Right when you open it up it makes the sound of a door quietly opening. SCARY! Scary and cool the same time. LOL. If you follow my IG stories I opened it up and played the sound. It’s highlighted so you can go back and look for it! 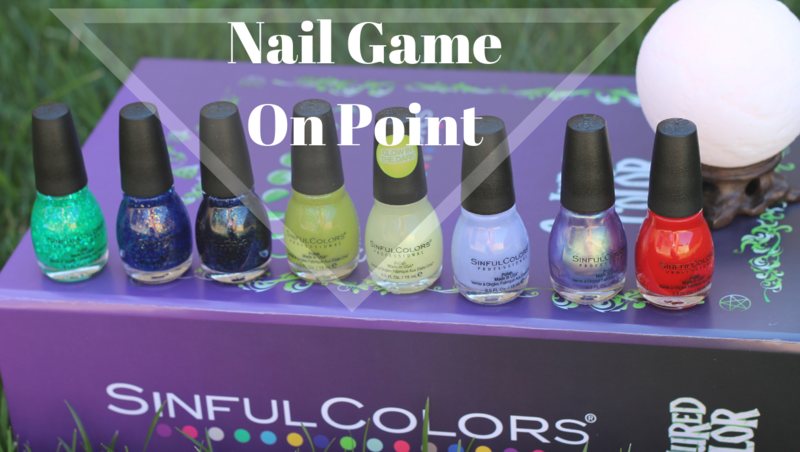 So, of course the most exciting thing about this package is the shades of these nail polishes by Sinful Colors! I have always liked this brand. I live very close to a walgreens and that is where I usually find them. You can find them at different stores and find those on their website. I got 8 gorgeous shades and one of them is Glow in the dark! I knew my daughter would instantly want that one for herself so she got it haha. I like the purple and blue shades the most. They’re so beautiful and the names on the bottom of these are awesome ! 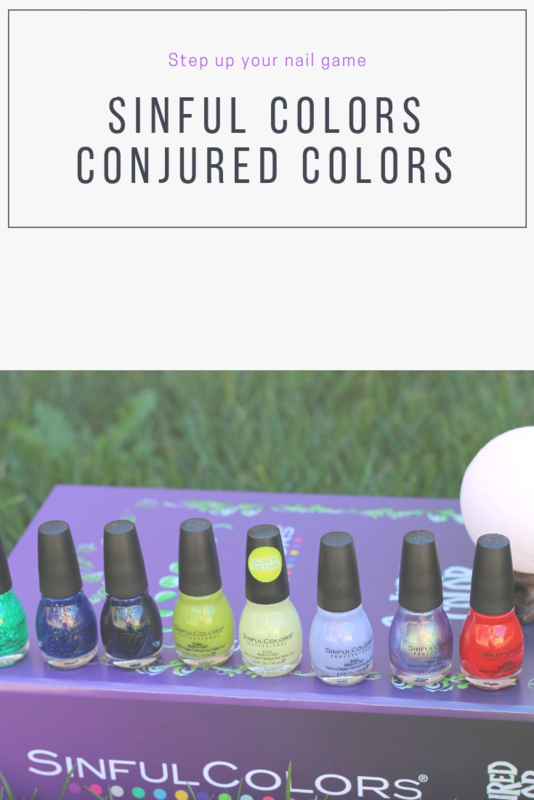 For example they have one called “Witch, please!” I hope one day I can name a nail polish or product because I have some in mind I think would be pretty amazing too, but these are so awesome like I said. Spellbound has to be my favorite. Overall, they dry quickly which is a good thing because well I am a mommy and I have things to do and I am On Call 24/7 so I need these nails dry asap and sinful colors has always done the job for me! They come in so many different shades but this collection in particular has not one shade I dislike! If you had to pick any of these vibrant shades which would you choose?